JÜKE SYSTEMTECHNIK IS A CROSS-INDUSTRY OPERATING SYSTEM SUPPLIER FOR PRECISION MECHANICS AND ELECTRONICS. 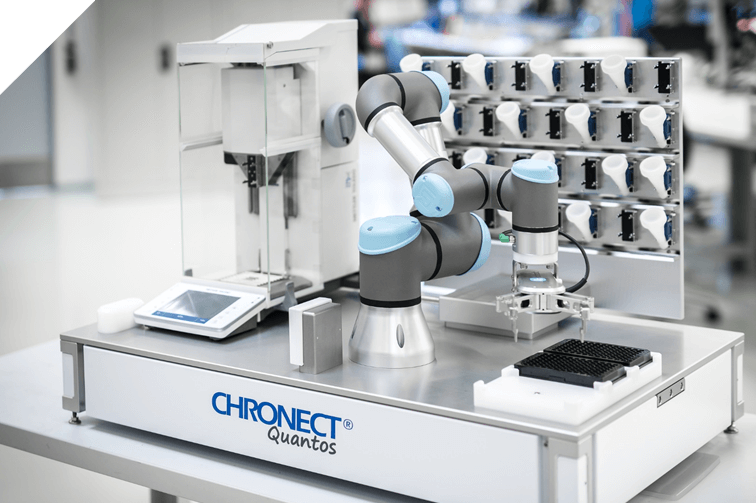 As a service partner alongside our customers, our strength lies in the development and production of mechatronic high-tech assemblies and their firmware as well as in system integration. We focus on three core industries: medical technology, optical technology and analytical, bio- and laboratory technology. We know the needs and requirements of our customers and are used to working with global market leaders as well as specialists for specific industry segments. 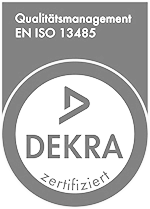 Our customers know our strengths because they benefit from the cross-industry experience and JÜKE’s many years of know-how. 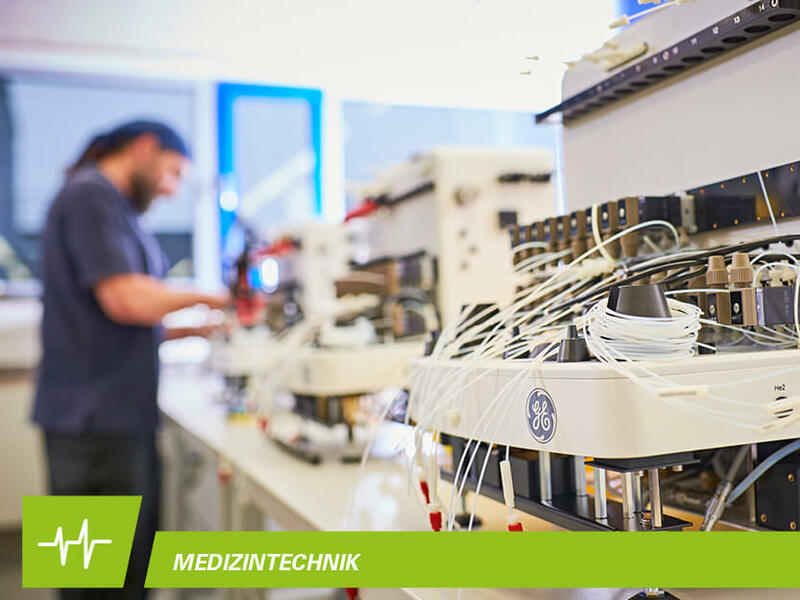 As an experienced manufacturer in the field of medical technology, we develop and manufacture new mechatronic assemblies as well as medical devices and systems – individually tailored and systematically optimized. 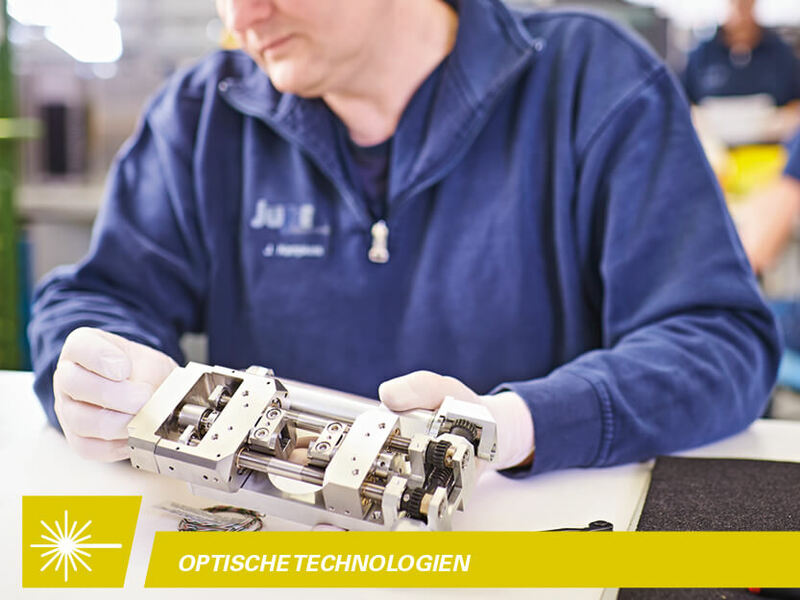 JÜKE offers you a complete range of services in the field of optical technology for the design of assemblies and modules up to complete systems. 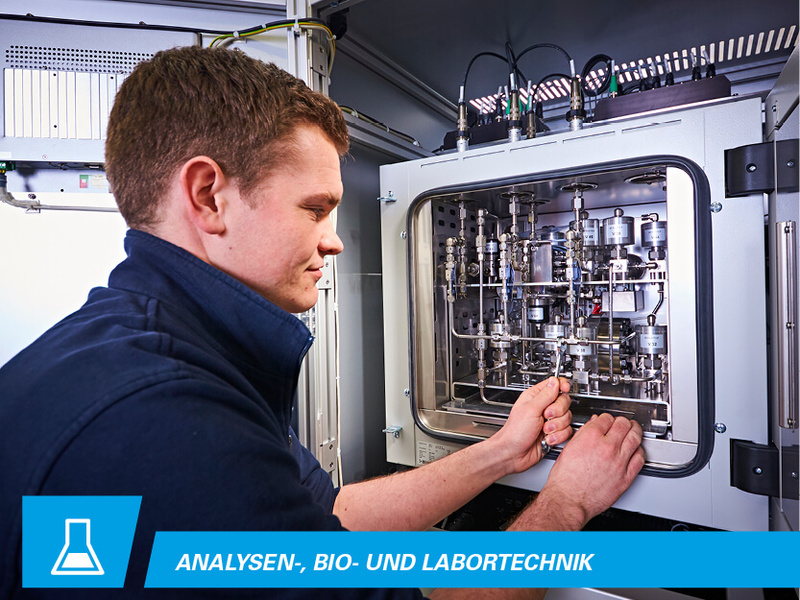 Rely on our high-performance and flexible production: According to your specifications, we plan, design and produce assemblies and systems for advanced biotechnology, laboratory equipment and measuring technology. 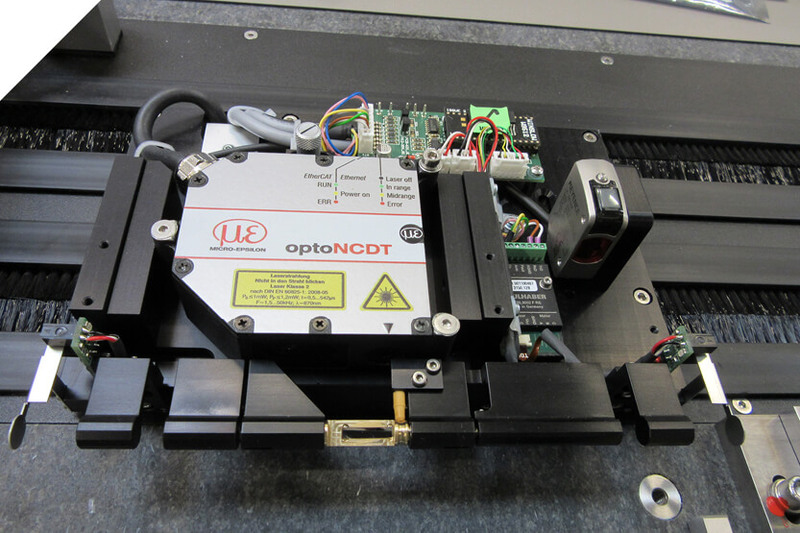 Fully automatic mechatronic system for flexible synthesis of PET tracers for oncological diagnostics in radio pharmacy. Through the use of specific disposable cassettes different kind of tracers can be synthesized in narrow space. A highly accurate optical inspection system for production optimization and quality assurance within the production of sheet metal profiles. Developed for a market leader in furniture fittings. 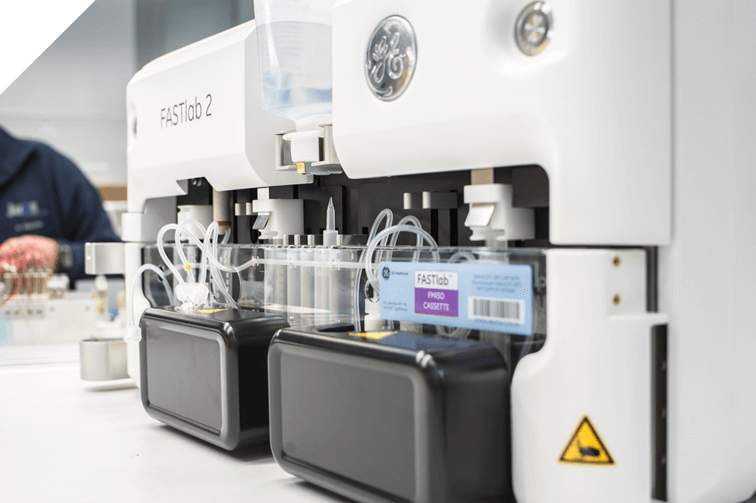 The exact Quantos dosing and weighing technology is linked to an automatic sample preparation via the multidimensional CHRONECT® Bionic robot. Holistic system understanding. With a view beyond the box of part services. With experience from system development to lifecycle management. For you: the best possible solution. In detail or in the big picture. Multifaceted system technology for solutions instead of solutions based on a single technology. Mechanics, electronics, hardware, firmware and software. For you: the most efficient solution, independent of technology. Trust and reliability: decades of growing partnerships with our customers speak for themselves. For you: Solutions that you can rely on from the beginning and for many years to come.